Premier Power Maintenance defines its services in six primary areas: Safety Training, Engineering, Installation, Commissioning, Preventative Maintenance, and Repair. Our goal is to provide customers with a safe, dependable, and uninterrupted power supply. We invest heavily in redundant tooling, test equipment, and employee training, which helps ensure an immediate and effective response to any service request. We have highly qualified field service personnel capable of assuring our customers that any and all emergencies will be handled promptly and professionally. We take pride in our safety and unparalleled expertise in the field. Premier Power Maintenance firmly believes that each team member is part of our family. Therefore, Premier Power Maintenance offers a very competitive benefits package, which enhances the company's ability to compete in the job marketplace. Premier Power Maintenance's benefit package includes 100% of premiums paid by employer for team member short-term disability, long-term disability, and life insurance. The benefits package also pays 100% of medical and dental insurance premiums for the team member and 50% of the premiums for dependent coverage. In addition, Premier Power Maintenance offers a generous PTO policy and 8 days of holiday pay. The company also offers performance bonuses, matching 401k, and a profit sharing plan. To learn more about Premier Power Maintenance, please visit our website at www.premierpowermaintenance.com. Company Overview : Premier Power Maintenance defines its services in six primary areas: Safety Training, Engineering, Installation, Commissioning, Preventative Maintenance, and Repair. Our goal is to provide customers with a safe, dependable, and uninterrupted power supply. We invest heavily in redundant tooling, test equipment, and team member training, which helps ensure an immediate and effective response to any service request. We have highly qualified field service personnel capable of assuring our customers that all emergencies will be handled promptly and professionally. We take pride in our safety and unparalleled expertise in the field. Essential Duties and Responsibilities: Execute mechanical and electrical takes on equipment utilized in Power Transmission, Distribution and Generation Read and interpret manuals, schematics and writing diagrams to troubleshoot and solve equipment problems Participate in the installation, maintenance and report of electrical equipment Develops and participates in safety meetings and training Troubleshoot, repair, replace and clean all components in a substation Must have extensive knowledge and be able to perform the following tasks: Transformer Testing – Power Factor, TTR, Insulation resistance, SFRA, winding and leakage reactance Cable Testing – Insulation resistance, Tan Delta, Hipot, TDR and cable thumper Low, Medium and High Voltage Circuit Breaker Testing – Insulation resistance, contact resistance, Power Factor, breaker timing, SF6 gas analysis, CT testing, high currently testing, secondary injection tests and vacuum bottle integrity tests Test both electrical-mechanical and solid-state relays Work Environment: Be willing to take calls and give technical advice outside of business hours Must be able to work overtime, including nights, weekends and some holidays Must be able to travel on overnight, multi-day, out-of-town projects Rotate emergency on-call duty and respond to customer emergencies in a timely manner Willing to relocate to within at least a 1-hour drive from a Premier Power Maintenance office Must be able to lift and maneuver at least 50 lbs. Premier Power Maintenance firmly believes that each team member is part of our family. Therefore, Premier Power Maintenance offers a very competitive benefits package, which enhances the company’s ability to compete in the job marketplace. Premier Power Maintenance’s benefit package includes 100% of premiums paid by employer for team member short-term disability, long-term disability, and life insurance. The benefits package also pays 100% of medical and dental insurance premiums for the team member and 50% of the premiums for dependent coverage. In addition, Premier Power Maintenance offers a generous PTO policy and 8 days of holiday pay. The company also offers performance bonuses, matching 401k, and a profit sharing plan. To learn more about Premier Power Maintenance, please visit our website at www.premierpowermaintenance.com . Premier Power Maintenance is an EEO/AA employer who values and embraces workplace diversity. All qualified applicants are encouraged to apply regardless of race, age, gender, sexual orientation, nationality, disability and/or veteran status. In compliance with federal law, all persons hired will be required to verify identity and eligibility to work in the United States and to complete the required employment eligibility verification form upon hire. Company Overview: Premier Power Maintenance defines its services in six primary areas: Safety Training, Engineering, Installation, Commissioning, Preventative Maintenance, and Repair. Our goal is to provide customers with a safe, dependable, and uninterrupted power supply. We invest heavily in redundant tooling, test equipment, and team member training, which helps ensure an immediate and effective response to any service request. We have highly qualified field service personnel capable of assuring our customers that all emergencies will be handled promptly and professionally. We take pride in our safety and unparalleled expertise in the field. Reports To: Field Service Supervisor Job Summary: Performs electrical apparatus work onsite at customers facilities. This includes electrical testing, preventative maintenance, upgrades and repairs to circuit breakers, cables, switchgear, relays, reclosers, regulators and transformers. Essential Duties and Responsibilities: Execute mechanical and electrical tasks on equipment utilized in power transmission, distribution, and generation Read and interpret manuals, schematics, and wiring diagrams Troubleshoot, repair, replace and clean all components in a substation Able to assist and lead in the following tests: Transformer testing – Power Factor, TTR, Insulation resistance, SFRA, winding resistance and leakage reactance Cable testing – Insulation resistance, Tan Delta, VLF, Hipot, TDR and cable thumper Low, medium, and high voltage circuit breaker testing – insulation resistance, contact resistance, power factor, breaker timing, SF6 gas analysis, CT testing, high current testing, secondary injection tests, and vacuum bottle integrity tests Test both electro-mechanical and solid-state relays Participate in the installation, maintenance, and repair of electrical equipment Plans, develops, and participates in safety meetings and training Must be willing to take emergency outside of the normal workday Must support management in the planning, scheduling, execution, and cost management of field projects Work Environment: Corporate business hours are Monday-Friday, 7:30am-4:30pm, but depending on the scope of works hours outside of business hours may be required Must be located within 60 miles of Premier Power Maintenance’s office Must be willing and able to travel on overnight, multi-day, out-of-town jobs Premier Power Maintenance firmly believes that each team member is part of our family. Therefore, Premier Power Maintenance offers a very competitive benefits package, which enhances the company’s ability to compete in the job marketplace. Premier Power Maintenance’s benefit package includes 100% of premiums paid by employer for employee short-term disability, long-term disability, and life insurance. The benefits package also pays 100% of medical and dental insurance premiums for the employee and 50% of the premiums for dependent coverage. In addition, Premier Power Maintenance offers a generous PTO policy and 8 days of holiday pay. The company also offers performance bonuses, matching 401k, and a profit sharing plan. To learn more about Premier Power Maintenance, please visit our website at www.premierpowermaintenance.com . Premier Power Maintenance is an EEO/AA employer who values and embraces workplace diversity. All qualified applicants are encouraged to apply regardless of race, age, gender, sexual orientation, nationality, disability and/or veteran status. In compliance with federal law, all persons hired will be required to verify identity and eligibility to work in the United States and to complete the required employment eligibility verification form upon hire. Company Overview: Premier Power Maintenance defines its services in six primary areas: Safety Training, Engineering, Installation, Commissioning, Preventative Maintenance, and Repair. Our goal is to provide customers with a safe, dependable, and uninterrupted power supply. We invest heavily in redundant tooling, test equipment, and team member training, which helps ensure an immediate and effective response to any service request. We have highly qualified field service personnel capable of assuring our customers that all emergencies will be handled promptly and professionally. We take pride in our safety and unparalleled expertise in the field. Reports To: Protection & Controls Area Supervisor Job Summary: Technicians in this division are home based and report directly to the job sites. Essential Job Duties and Responsibilities: Responsible for the scheduling and job scoping of preplanned outages, including scheduling SCADA checkout Responsible for the oversight and execution of the mechanical and electrical tasks performed on equipment utilized in facility’s Power Distribution equipment Participates in the installation, maintenance and repair of electrical equipment on-site Coordinates with Regional Operations Managers for the necessary manpower support regarding each scheduled outage work. This includes considering the scope of work to determine the necessary number of people, the necessary talent levels, and the necessary equipment needed for each job Assigns the supplied manpower to the proper task and ensures all test data is submitted on time and in the proper manner Participates in bi-weekly phone calls with Premier Owners and Managers to discuss any potential or existing issues as well as opportunities for improvement Must be willing to take calls and give technical advice outside of the normal workday While it is understood that any given candidate might not have in-depth knowledge of all relay types listed below, it is imperative they fully understand the theory behind the logic and possess the ability to incorporate it during substation outage situations Work Environment: Must be willing to travel for extended periods of time Normal working hours are Monday - Friday 7:30 AM – 4:30 PM, but must be willing and able to work regular overtime including nights, weekends, and some holidays depending on facility outage schedules Must be able to lift and maneuver at least 50 lbs Premier Power Maintenance firmly believes that each team member is part of our family. Therefore, Premier Power Maintenance offers a very competitive benefits package, which enhances the company’s ability to compete in the job marketplace. Premier Power Maintenance’s benefit package includes 100% of premiums paid by employer for team member short-term disability, long-term disability, and life insurance. The benefits package also pays 100% of medical and dental insurance premiums for the team member and 50% of the premiums for dependent coverage. In addition, Premier Power Maintenance offers a generous PTO policy and 8 days of holiday pay. The company also offers performance bonuses, matching 401k, and a profit sharing plan. To learn more about Premier Power Maintenance, please visit our website at www.premierpowermaintenance.com . Premier Power Maintenance is an EEO/AA employer who values and embraces workplace diversity. All qualified applicants are encouraged to apply regardless of race, age, gender, sexual orientation, nationality, disability and/or veteran status. In compliance with federal law, all persons hired will be required to verify identity and eligibility to work in the United States and to complete the required employment eligibility verification form upon hire. Company Overview: Premier Power Maintenance defines its services in six primary areas: Safety Training, Engineering, Installation, Commissioning, Preventative Maintenance, and Repair. Our goal is to provide customers with a safe, dependable, and uninterrupted power supply. We invest heavily in redundant tooling, test equipment, and team member training, which helps ensure an immediate and effective response to any service request. We have highly qualified field service personnel capable of assuring our customers that all emergencies will be handled promptly and professionally. We take pride in our safety and unparalleled expertise in the field. Reports To : Field Service Supervisor Job Summary: Execute mechanical and electrical tasks on substation equipment utilized in power transmission, distribution, and generation. Assemble, troubleshoot, repair, replace and clean all components in an electrical substation. Essential Job Responsibilities: Read and interpret manuals, schematics, and wiring diagrams to install electrical apparatus according to manufacturer’s specifications Must have knowledge and be able to perform a majority of the following substation construction tasks: o Transformer assembly and disassembly- bushing, radiator, conservator, oil, and arrestor installation. o Power cable installation- duct banks, trend ways, conduit, cable pulling, excavations, splicing, terminations, grounding, and trenching o Circuit breaker installation– conductor fabrication, control wiring, gas filling, and grounding o Protective relay panel installation- point to point wire designations, wire labeling, wire terminations, and cable tray assembly o Substation installation- aluminum buss welding, welded/hydraulic press conductor assembly, ground grid installation, air switch setting Must have a good working knowledge of bucket trucks, line trucks, digger trucks, excavators, trenchers, cranes, hydraulic crimpers, conduit benders, cable prep tools, cable pullers, and welders Participate in preventative maintenance outages at customers facilities Participates in weekly safety meetings and trainings Must be willing to take calls and give technical advice outside of the normal workday Work Environment: Work in close, but safe, proximity to live electrical substations Able to work flexible hours including overtime, nights, weekends, and some holidays Able to work overnight, multi-day and out-of-town projects Must be willing to rotate emergency on-call duty and respond to customer emergencies Willing to relocate to within 60 miles of a Premier Power Maintenance office Must be able to lift and maneuver at least 50 pounds Must be willing and capable of working with your hands and working in the field Premier Power Maintenance firmly believes that each team member is part of our family. Therefore, Premier Power Maintenance offers a very competitive benefits package, which enhances the company’s ability to compete in the job marketplace. Premier Power Maintenance’s benefit package includes 100% of premiums paid by employer for team member short-term disability, long-term disability, and life insurance. The benefits package also pays 100% of medical and dental insurance premiums for the team member and 50% of the premiums for dependent coverage. In addition, Premier Power Maintenance offers a generous PTO policy and 8 days of holiday pay. The company also offers performance bonuses, matching 401k, and a profit sharing plan. To learn more about Premier Power Maintenance, please visit our website at www.premierpowermaintenance.com . Premier Power Maintenance is an EEO/AA employer who values and embraces workplace diversity. All qualified applicants are encouraged to apply regardless of race, age, gender, sexual orientation, nationality, disability and/or veteran status. In compliance with federal law, all persons hired will be required to verify identity and eligibility to work in the United States and to complete the required employment eligibility verification form upon hire. Company Overview: Premier Power Maintenance defines its services in six primary areas: Safety Training, Engineering, Installation, Commissioning, Preventative Maintenance, and Repair. Our goal is to provide customers with a safe, dependable, and uninterrupted power supply. We invest heavily in redundant tooling, test equipment, and team member training, which helps ensure an immediate and effective response to any service request. We have highly qualified field service personnel capable of assuring our customers that all emergencies will be handled promptly and professionally. We take pride in our safety and unparalleled expertise in the field. Reports To : P & C Area Supervisor **Technicians in this division are home based and report directly to the job sites. We have long term project work in Indiana, Iowa and throughout the Midwest. ** Job Description: Plans and carries out commissioning of Transmission and Distribution substation protection and control systems to include; Test and calibrate electro-mechanical and microprocessor based relays. Alarm relays, line, bus differential, and transformer protection relays, and control/breaker failure relays. Set up and test communication and networking equipment such as ethernet switches, power line carrier systems, SCADA systems and RTU's. Plans and coordinates outage activities, Analyzes results of testing and provides guidance on how to interpret results of testing to less experienced testing technicians Verifies construction and wiring is complete to design standards, Performs functional checks of all protection and control circuits and systems Provides leadership and technical support for other substation and industrial switchgear projects performed by the company Runs 2 or more projects simultaneously Work Environment: Must be willing and able to work regular overtime, including nights, weekends, and some holidays Must be willing and able to travel on overnight, multi-day, out-of-town jobs Must be willing and capable of working with your hands and working in the field Premier Power Maintenance firmly believes that each team member is part of our family. Therefore, Premier Power Maintenance offers a very competitive benefits package, which enhances the company’s ability to compete in the job marketplace. Premier Power Maintenance’s benefit package includes 100% of premiums paid by employer for team member short-term disability, long-term disability, and life insurance. The benefits package also pays 100% of medical and dental insurance premiums for the team member and 50% of the premiums for dependent coverage. In addition, Premier Power Maintenance offers a generous PTO policy and 8 days of holiday pay. The company also offers performance bonuses, matching 401k, and a profit sharing plan. To learn more about Premier Power Maintenance, please visit our website at www.premierpowermaintenance.com . Premier Power Maintenance is an EEO/AA employer who values and embraces workplace diversity. All qualified applicants are encouraged to apply regardless of race, age, gender, sexual orientation, nationality, disability and/or veteran status. In compliance with federal law, all persons hired will be required to verify identity and eligibility to work in the United States and to complete the required employment eligibility verification form upon hire. Company Overview: Premier Power Maintenance defines its services in six primary areas: Safety Training, Engineering, Installation, Commissioning, Preventative Maintenance, and Repair. Our goal is to provide customers with a safe, dependable, and uninterrupted power supply. We invest heavily in redundant tooling, test equipment, and team member training, which helps ensure an immediate and effective response to any service request. We have highly qualified field service personnel capable of assuring our customers that all emergencies will be handled promptly and professionally. We take pride in our safety and unparalleled expertise in the field. Reports To: Region Manager Job Summary: Supervise, train, and assist field service engineers and technicians while being responsible for all aspects of team's field service work, including customer communication, job estimating, scheduling, reports and billing. Essential Job Responsibilities: Develops training, career paths and succession planning for all team members Manages large teams of technicians Develops work plans for execution of maintenance and testing of electrical apparatus in accordance with established standards, scopes of work and customer requests Directs specialized tests, inspections, troubleshooting and appraisals on electrical apparatus and electrical systems Responsible for timely customer deliverables including project reports and billing information Actively involved in customer communication and business development activities, including recommendations regarding mitigation of deficiencies found during maintenance and testing activities and inspections Analyzes projects and identifies areas to improve efficiencies and profitability while still meeting customer expectations Plans and participates in safety meetings, training, and audits Supports management in the planning, scheduling, execution and cost management of field projects as well as organizational goals and objectives Work Environment: Able to work flexible hours including overtime, nights, weekends and some holidays Able to work overnight, multi-day and out-of-town projects Must be willing to rotate emergency on-call duty and respond to customer emergencies in a timely manner Willing to relocate to within 60 miles of a Premier Power Maintenance office Premier Power Maintenance firmly believes that each team member is part of our family. Therefore, Premier Power Maintenance offers a very competitive benefits package, which enhances the company's ability to compete in the job marketplace. Premier Power Maintenance's benefit package includes 100% of premiums paid by employer for team member short-term disability, long-term disability, and life insurance. The benefits package also pays 100% of medical and dental insurance premiums for the team member and 50% of the premiums for dependent coverage. In addition, Premier Power Maintenance offers a generous PTO policy and 8 days of holiday pay. The company also offers performance bonuses, matching 401k, and a profit sharing plan. 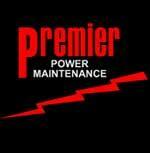 To learn more about Premier Power Maintenance, please visit our website at ww.premierpowermaintenance.com . Premier Power Maintenance is an EEO/AA employer who values and embraces workplace diversity. All qualified applicants are encouraged to apply regardless of race, age, gender, sexual orientation, nationality, disability and/or veteran status. In compliance with federal law, all persons hired will be required to verify identity and eligibility to work in the United States and to complete the required employment eligibility verification form upon hire. C ompany Overview: Premier Power Maintenance defines its services in six primary areas: Safety Training, Engineering, Installation, Commissioning, Preventative Maintenance, and Repair. Our goal is to provide customers with a safe, dependable, and uninterrupted power supply. We invest heavily in redundant tooling, test equipment, and team member training, which helps ensure an immediate and effective response to any service request. We have highly qualified field service personnel capable of assuring our customers that all emergencies will be handled promptly and professionally. We take pride in our safety and unparalleled expertise in the field. Job Summary: Execute mechanical and electrical tasks on substation equipment utilized in power transmission, distribution, and generation. Oversee and take part in assembly, troubleshooting, repair, replacement and cleaning all components in an electrical substation. Essential Duties and Responsibilities: Read and interpret manuals, schematics, and wiring diagrams to install electrical apparatus according to manufacturer's specifications Oversee electrical substation project installations, alterations, additions and/or repairs at any given time Onsite supervision of construction projects with anywhere from two to ten construction technicians Assigns project tasks and ensures that materials, tools, manpower and equipment are scheduled in a timely manner to meet project schedules Interacts with the customer to make sure project is on schedule and their needs are met Responsible for reviewing all project documents, plans, managing construction activities, resolving any problems that arise on the job, coordinating sub-contractors, maintain project schedules Position walks down projects and provides an accurate estimation for work Responsible for maintaining quality standards of Premier Performs daily job hazard analysis, participates in weekly safety meetings and trainings, and promotes company safety polices Must be willing to take calls and give technical advice outside of the normal workday Work Environment: Work in close, but safe, proximity to live electrical substations Able to work flexible hours including overtime, nights, weekends, and some holidays Able to work overnight, multi-day and out-of-town projects Must be willing to rotate emergency on-call duty and respond to customer emergencies Willing to relocate to within 60 miles of a Premier Power Maintenance office Must be able to lift and maneuver at least 50 pounds Must be willing and capable of working with your hands and working in the field Premier Power Maintenance firmly believes that each team member is part of our family. Therefore, Premier Power Maintenance offers a very competitive benefits package, which enhances the company's ability to compete in the job marketplace. Premier Power Maintenance's benefit package includes 100% of premiums paid by employer for team member short-term disability, long-term disability, and life insurance. The benefits package also pays 100% of medical and dental insurance premiums for the team member and 50% of the premiums for dependent coverage. In addition, Premier Power Maintenance offers a generous PTO policy and 8 days of holiday pay. The company also offers performance bonuses, matching 401k, and a profit sharing plan. To learn more about Premier Power Maintenance, please visit our website at www.premierpowermaintenance.com. Premier Power Maintenance is an EEO/AA employer who values and embraces workplace diversity. All qualified applicants are encouraged to apply regardless of race, age, gender, sexual orientation, nationality, disability and/or veteran status. In compliance with federal law, all persons hired will be required to verify identity and eligibility to work in the United States and to complete the required employment eligibility verification form upon hire. Company Overview: Premier Power Maintenance defines its services in six primary areas: Safety Training, Engineering, Installation, Commissioning, Preventative Maintenance, and Repair. Our goal is to provide customers with a safe, dependable, and uninterrupted power supply. We invest heavily in redundant tooling, test equipment, and team member training, which helps ensure an immediate and effective response to any service request. We have highly qualified field service personnel capable of assuring our customers that all emergencies will be handled promptly and professionally. We take pride in our safety and unparalleled expertise in the field. Job Summary : Supervise, train, and assist P&C Specialists, Engineers, and Technicians while responsible for all aspects of team's field service work, including customer communication, sales, job estimating, proposals, scheduling, reports and billing. Essential Duties and Responsibilities: Plans and carries out commissioning of Transmission and Distribution substation protection and control systems to include: Test and calibrate electro-mechanical and microprocessor-based relays, alarm relays, line or bus differential, transformer protection relays, and control/breaker failure relays. Set up and test communication and networking equipment such as ethernet switches, power line carrier systems, SCADA systems and RTUs. Plans, coordinates, and executes outage activities on strict timelines in collaboration with relevant customer and contract personnel. Provides technical support for electricians and P&C commissioning specialists. Verifies that construction and wiring is complete and meets the design and standards. Performs and documents functional tests of all P&C circuits and systems per NERC PRC Standards. Initiates or assists in contract negotiations including change management. Provides cost control, testing, commissioning scheduling information to division manager, and assists in resource planning. Performs bi-annual reviews and provides feedback to division manager concerning technician performance. Supervises P&C specialists and assistants during their day-to-day activities and provides guidance in safety, intercompany communications, and general jobsite management. Verifies that weekly project time sheets and other time sensitive documentation is being completed as required. Inspects final documentation for projects to ensure that it is complete and performed in accordance with the required customer or regulatory standards. Travels to all projects within the area in support of other field personnel. Provides exceptional customer service to enhance relationships with client field personnel. Work Environment: Must be willing and able to work overtime, nights, weekends, and some holidays. Must be willing and able to travel on overnight, multi-day, and out-of-town jobs. Must be willing and capable to work hands-on in the field. Premier Power Maintenance firmly believes that each team member is part of our family. Therefore, Premier Power Maintenance offers a very competitive benefits package, which enhances the company's ability to compete in the job marketplace. Premier Power Maintenance's benefit package includes 100% of premiums paid by employer for team member short-term disability, long-term disability, and life insurance. The benefits package also pays 100% of medical and dental insurance premiums for the team member and 50% of the premiums for dependent coverage. In addition, Premier Power Maintenance offers a generous PTO policy and 8 days of holiday pay. The company also offers performance bonuses, matching 401k, and a profit sharing plan. To learn more about Premier Power Maintenance, please visit our website at www.premierpowermaintenance.com. Premier Power Maintenance is an EEO/AA employer who values and embraces workplace diversity. All qualified applicants are encouraged to apply regardless of race, age, gender, sexual orientation, nationality, disability and/or veteran status. In compliance with federal law, all persons hired will be required to verify identity and eligibility to work in the United States and to complete the required employment eligibility verification form upon hire. Company Overview: Premier Power Maintenance defines its services in six primary areas: Safety Training, Engineering, Installation, Commissioning, Preventative Maintenance, and Repair. Our goal is to provide customers with a safe, dependable, and uninterrupted power supply. We invest heavily in redundant tooling, test equipment, and team member training, which helps ensure an immediate and effective response to any service request. We have highly qualified field service personnel capable of assuring our customers that all emergencies will be handled promptly and professionally. We take pride in our safety and unparalleled expertise in the field. This role will work out of our Decatur, Alabama regional office developing new business opportunities and managing existing customer accounts. Essential Duties and Responsibilities: This position will report directly to the Regional Operations Manager in the area and will be accountable for the sales performance of that region Develops aspects of the sales plan for the region Makes sales calls to both new customers as well as customers which you possess a long tern relationship with and inform them of Premier's capabilities Help build market position by locating, developing and negotiating new business relationships Promotes new business by being aware of all of Premier's capabilities and making sure all facility contacts recognize our capabilities Maintains a high level of rapport all customers and establishes an open line of communication with them in order to ensure that they have complete trust in Premier Power Maintenance Perform marketing support to promote the Company's brand throughout the industry Active participation in trade shows and professional societies Serves as customer contact and liaison by following up with customers after jobs are complete Develops proposals and accurate quotations of on-site projects based on customer requests, this will include developing quotations, developing estimates, documenting work scopes, proposal composition and work packet assembly Follows through with customer's needs and requests Locate potential business deals by contacting potential customers as well as existing customers; discovering and exploring future opportunities Help promote Premier as a place of employment for viable technicians and engineers Protects organization's value by keeping information confidential Work Environment: Corporate business hours are 40 hours a week, Monday-Friday, 7:30am - 4:30pm Must be willing to relocate within 60 miles of a Premier Power Maintenance office location Must be willing to take calls and or travel outside the scope of the normal workday Premier Power Maintenance firmly believes that each team member is part of our family. Therefore, Premier Power Maintenance offers a very competitive benefits package, which enhances the company's ability to compete in the job marketplace. Premier Power Maintenance's benefit package includes 100% of premiums paid by employer for team member short-term disability, long-term disability, and life insurance. The benefits package also pays 100% of medical and dental insurance premiums for the team member and 50% of the premiums for dependent coverage. In addition, Premier Power Maintenance offers a generous PTO policy and 8 days of holiday pay. The company also offers performance bonuses, matching 401k, and a profit sharing plan. To learn more about Premier Power Maintenance, please visit our website at www.premierpowermaintenance.com. Premier Power Maintenance is an EEO/AA employer who values and embraces workplace diversity. All qualified applicants are encouraged to apply regardless of race, age, gender, sexual orientation, nationality, disability and/or veteran status. In compliance with federal law, all persons hired will be required to verify identity and eligibility to work in the United States and to complete the required employment eligibility verification form upon hire.